My wife and I recently had a baby girl so needless to say we have been pretty busy. My blog has been on the back burner as I figure out how to be a parent which is NOT very easy. Coming into this guest post, I knew that I had to bake something awesome. Though time consuming, French macarons are my absolute favorite thing to make. They also tend to be a bit tough to master. I get a fair amount of questions about macarons, so I wanted to create a post to help you get through it. It will take some time to master these, but once you do, you will most likely achieve celebrity chef status among all of your friends. I like to get down to the food, so I hope you enjoy this recipe and I really hope you give these a try, you’ll totally be happy you did! Preheat the oven to 325 (160 degrees C) and line your baking sheets with parchment paper. Blend the almond flour with the powdered sugar in the food processor to make mixture as fine as possible (or sift together, discarding any large crumbs and adding a bit more almond flour and powdered sugar as needed to compensate). Sift the mixture through a strainer until it’s as fine as you can get it. This keeps crumbs from forming on the macaron tops as they bake. With the wire whip attachment on the electric mixer, beat the egg whites with the salt and the powdered egg whites (if you’re using), starting slowly and then increasing speed as the whites start to rise. Add the granulated sugar and the vanilla bean scraping. Beat until the egg whites form stiff peaks and your meringue is firm and shiny. Fold the egg whites into the almond meal mixture, using a rubber spatula. Now hit the spatula against the rim of the bowl until the batter falls in a wide ribbon when you raise the spatula. When you can’t see any crumbs of almond flour and the mixture is shiny and flowing you’re done mixing. Fit your pastry bag with a number 806 round tip or equivalent. Pipe the batter into even circles. I like to pipe mine about 1 3/4 inch diameter but you can make them bigger or smaller if you’d like. Be sure to leave about 1 inch of space between macarons so they will not touch each other while they bake. (If the peak that forms on the top of the macaron doesn’t disappear after piping, it means the batter could have been beaten a little more. To eliminate the peaks, tap the baking sheet on the tabletop, making sure to hold the parchment paper in place with your thumbs). Let the piped macarons rest for 15 minutes before baking. Bake for 14 minutes. After the first 5 minutes, open the oven door briefly to let the steam out. Don’t forget to do this, it’s very important to get the excess moisture out of your oven. Let the macarons cool completely on the pan before taking them off the parchment paper. Press the bottom of a cooled baked macaron shell with your finger; it should be soft. If it’s hard, reduce the baking time for the rest of your macarons from 14 minutes to 13 minutes. For the buttercream, beat butter until fluffy. Add the vanilla extract and the vanilla bean scrapings and beat until fully combined. Slowly add the powdered sugar in two additions to prevent making a huge mess in your kitchen. Add the cream and turn the mixer to medium high and beat for about 4 minutes until nice, fluffy and smooth. 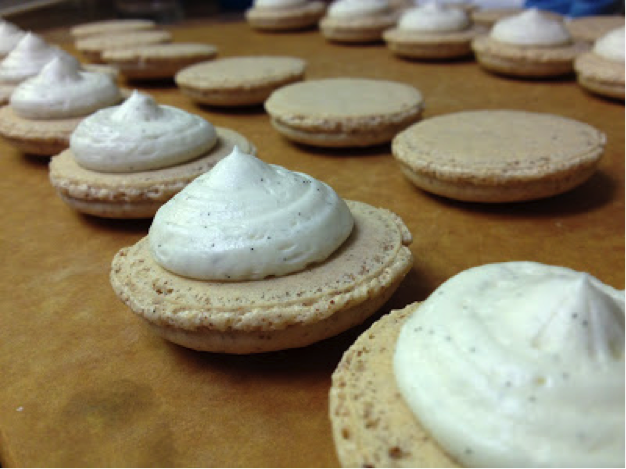 Once the macaron shells are cooled, pipe a small amount of buttercream on to the middle of one shell. Very gently twist another shell on top of the buttercream. Store the filled macarons in the refrigerator. The buttercream will harden so let the macarons sit out for 15-20 minutes before serving. Enjoy! 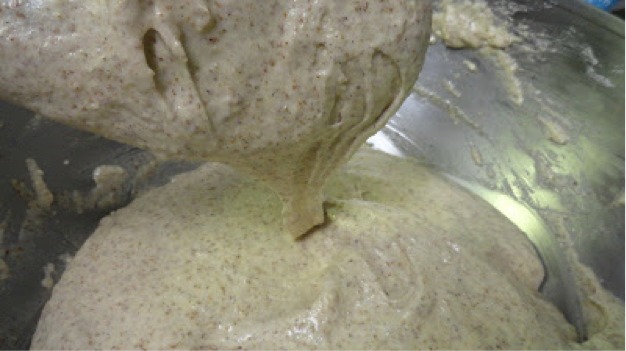 Almond meal or almond flour is just finely ground almonds. You can buy it blanched and unblanched. When almonds are blanched, it means that the outer skin has been removed. I like unblanched almond meal because I like the look of the little specks of the skin in the finished macarons. If you “age’ your egg whites in the refrigerator for one day in advance, it will help a little of the moisture evaporate, giving you a better chance of success. If you don’t have time to do this don’t worry, just add about 5 minutes to the resting time before baking and that will help. If you live in a very humid area, add 2 teaspoons of powdered egg whites to your fresh egg whites to help stabilize. It’s harder than you think to make consistent circles with the batter. I made myself a template to put under the parchment so I know that all of my shells will be exactly the same. My template has fifteen 1 3/4 inch diameter circles. Once you pipe the shells onto the parchment, you just pull out the template to pipe the next batch. Remember, these are very temperamental things to make, if your first batch or even second batch doesn’t come out quite so pretty don’t worry, you WILL get the hang of it and make perfect macarons. Practice makes perfect! 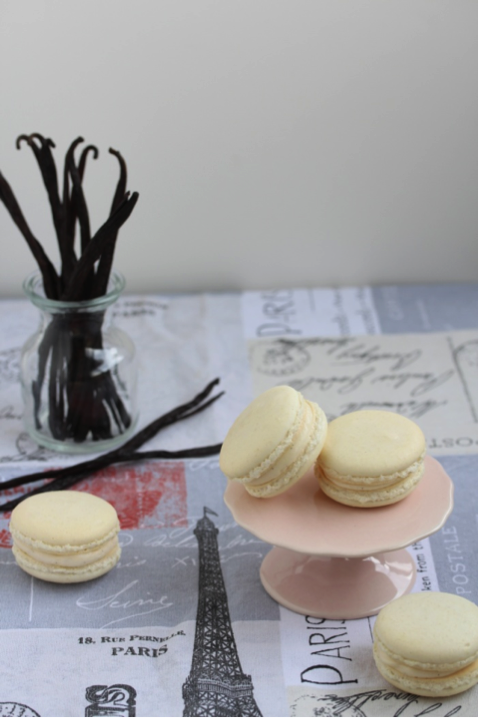 Baking Perfection… it’s an apt name right for a blogger who can make macarons that look like this no? Thanks so much DJ for helping me out with my exams, I totally owe you! Inspirational post! I really do need to try these. Keep on studying Uru–you’ll do great! Congrats on the arrival of your sweet girl! And on your PERFECT macarons! These are perfect! Feeling inspired now to learn how to make these macaroons! What a beautiful recipe full of delicious baking wisdom!! And that little one is as sweet as a macaron, indeed! I have a weakness for macarons I must admit though I have yet to actually make them myself. They are just so dainty and beautiful looking. I feel like it may be something out of league, but they actually sound pretty easy to make. Will be trying. You certainly redeemed yourself. Congrats on being a new parent and job well done on your guest post. Very nice to meet you DJ and congratulation on that cute little girl!!! I’ve never made macaroons primarily because they are so time consuming, so I’m always amazed when I see perfection like this. I know they taste even better than they look and they look amazing!!! Great guest post DJ, love your macs and the tips along with them. I agree with CCU that “Baking Perfection” is an excellent name for your blog, DJ. I think macarons look quite challenging for me, but would surely be rewarding if mastered. Yours are really beautiful! Congrats DJ on being a dad your little girl is adorable. Don’t know if I have the nerve or skills yet to tackle macarons but I can wish! You daughter is absolutely darling, and your macarons are indeed perfection. It is a pleasure to meet you. I will come and visit your site.. And CCU – thanks for this post, and you will ace your exam! Good luck with your final exams CCU! These macarons look delish. I have always wanted to try to make macarons. But I am too afraid. I am sure I will fail. But I can gawk. This looks amazing! Great tips on stabilizing egg whites! Stunning macaroons, made to perfection. No worries about the comments. Best of luck to your test which is more important. Gorgeous! These look like they came from a pastry shop! Your macarons are gorgeous. I will try your recipe, my first attempt was a failure, your recipe is much simpler and the results are amazing. Pure, gorgeous, delectable Perfection. OMGOSH!! Amaaaaaaaaaaazing cookies. These look perfect! I love macarons. Great guest post, DJ! Good luck with exams, Uru! Macarons can be tough to make! Temperamental, as you say. Really like the idea of the template so one’s piping will be perfect! 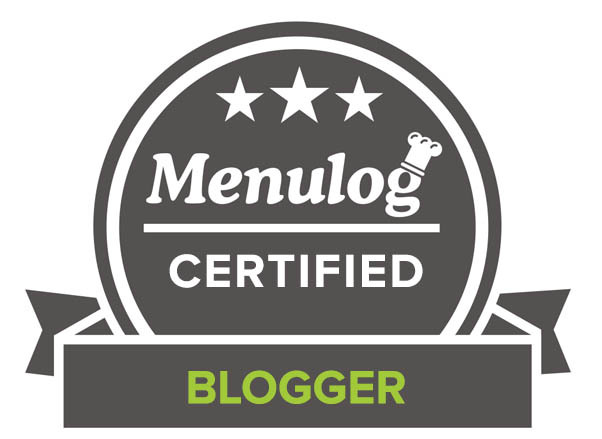 Great guest post — thanks so much. I have had macarons on the brain lately and I am definitely going to make some soon. These looks so beautiful and delicious. 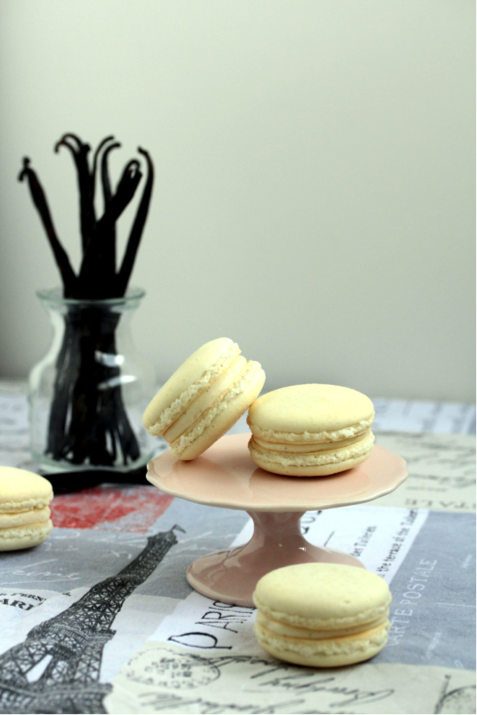 These macarons look bakery perfect! These look so very gorgeous and professional – and your daughter the cutest lil pumpkin in the patch. Thanks for the clear instructions! I love macaroons and they are in my Christmas sweet plan to make them! Precious little poppet your daughter is and I am in awe of your macarons. WOWZA…. Absolutely amazing. I’ve never made Macarons before, they always seem like such a technical dessert. These look awesome tho, I shall concur my fears and have a crack at making some these holidays. 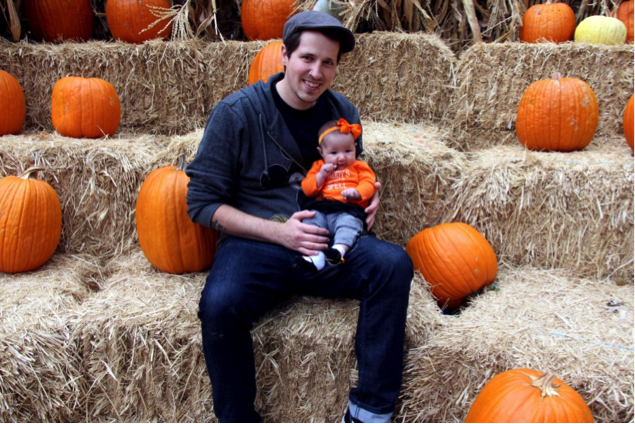 Gorgeous pic of your little poppet with the pumpkins too. 🙂 Thanks CCU for intro-ing all these amazing bloggers. It’s great! You’re little ‘pumpkin’ is a cutie. Congratulations. I would love to give these macarons a try. They look beautiful.